Authorities have activated a Silver Alert for a missing 54-year-old woman from Pulaski County. 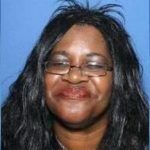 State Police say Joyce Toney was last known to be in the 4300 block of West Markham Street near UAMS hospital around 5:00 p.m. on Monday. Toney is described as a black female, 5 feet 3 inches, weighing 181 pounds with straight, black hair and brown eyes. She was last seen wearing a blue dress, jeans, a hat, scarf and multiple coats. If anyone has any information about Toney’s location, they are asked to call Little Rock police at 501.371.4423.